The 2016 festival season collides with Halloween once again as the 17th annual Voodoo Music + Arts Experience takes over City Park in America’s celebratory capital of New Orleans Oct. 28-30, and the Funyuns brand will be there to enhance the experience with fun, flavorful snacks and a unique event. SPIN and Funyuns will be offering Voodoo attendees a chance to meet some of their favorite festival artists up close and personal at the “Funyuns Exhaleorometer,” an engaging experience that will let fans test their #Funyunsbreath, make a fun GIF, and leave with all kinds of swag and, of course, Funyuns. 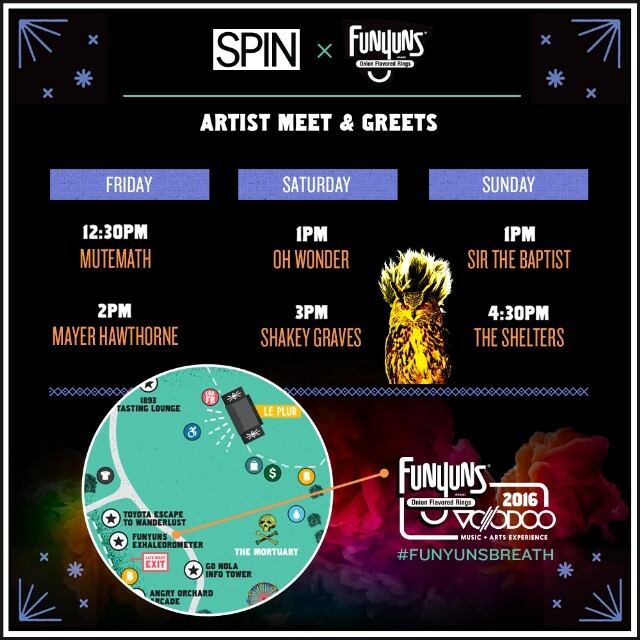 Over the course of Voodoo weekend, stop by the Funyuns snack activation to meet retro-soul singer Mayer Hawthorne, alt-rock heroes Mutemath, U.K. pop duo Oh Wonder, roots Americana champion Shakey Graves, Chicago hip-hop visionary Sir the Baptist, and L.A. rockers the Shelters. Get autographs, snap a selfie and share some Funyuns snacks with your festival favorites. Landing on Halloween weekend, Voodoo fest will be overrun with music fans sporting a cavalcade of eye-popping costumes to celebrate the spooky holiday. So don’t be surprised if you spot various takes on Donald Trump, Pokemon, and Harley Quinn while taking in sets from headliners the Weeknd, Tool and Arcade Fire. With a customarily diverse array of acts ranging from Preservation Hall Jazz Band and the Eagle Rock Gospel Singers to DJ Mustard and Melanie Martinez, the 2016 Voodoo Music + Arts Experience boasts something for music fans of all stripes. 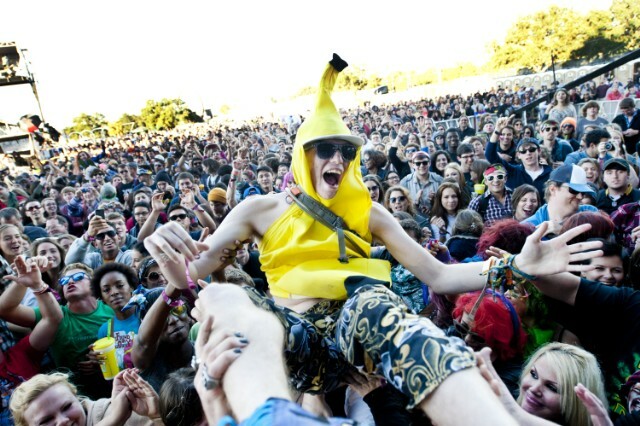 Eclectic, unconventional and wholly original, both Funyuns and the Voodoo fest have blazed their own distinctive trails to create enduring legacies through the common ground of having fun, good times and creating lifelong memories.